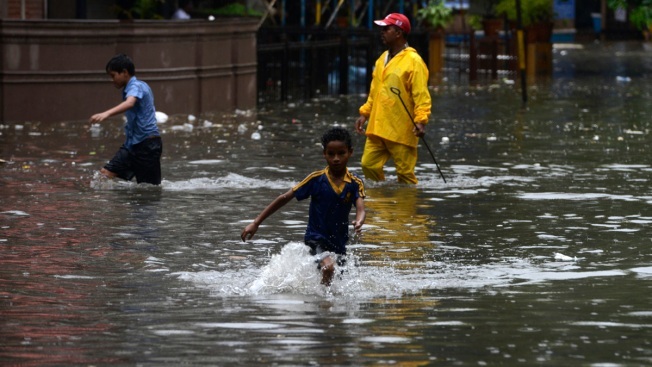 Heavy rains lashed Mumbai city disturbing normal life due to water logging in low lying areas and flooding of railway tracks in the city. Ocean levels could rise faster and higher than previously thought if carbon emissions are not reduced, top climate change scientists said in a new report. "It is unlikely that coastal cities or low-lying areas such as Bangladesh, European lowlands and large portions of the United States eastern coast and northeast China plains could be protected against such large sea level rise," said the report, authored by former chief NASA climate scientist James Hansen and 16 other researchers. The Intergovernmental Panel on Climate Change has previously projected that sea levels will rise about 3 feet by the end of this century, a more conservative estimate that would have serious consequences for low-lying regions and coastal cities. The report has not undergone a formal peer-review process, and was released online Thursday in the European Geosciences Union journal Atmospheric Chemistry and Physics Discussion.